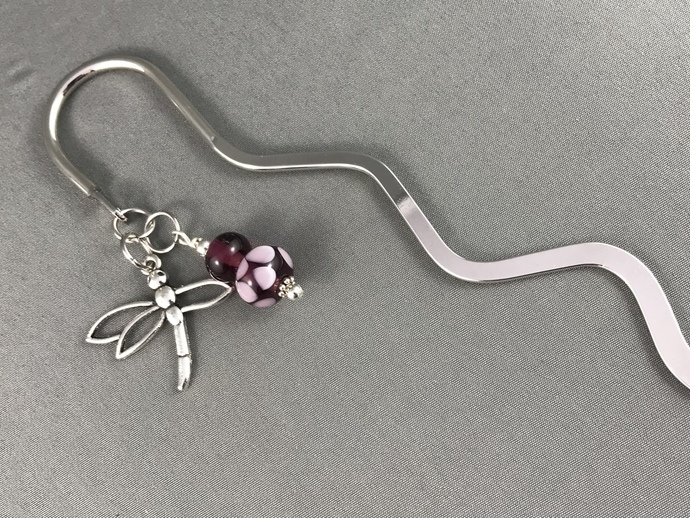 This long wavy silver plated bookmark has two of my glass beads hanging from it along with a silver plated dragonfly charm. 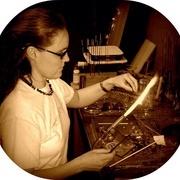 The glass beads are amethyst in color and one has dots on it. Bookmarks make great gifts. Grandparents, children, grads, teachers, parents... anyone who likes to read books.